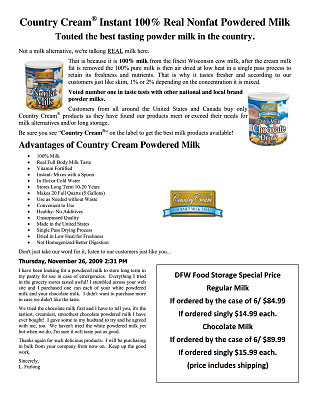 October's Group order is for Country Cream Powdered Milk. I have attached a brochure and an order form for you to pass along. 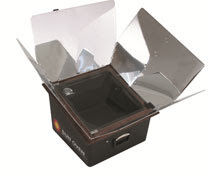 Please include your email address as many times we get orders with no way to let the people know when the order is in. We had some price increases. 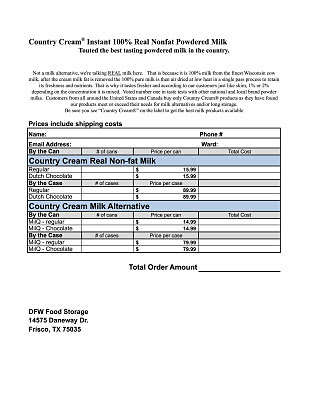 The Regular and Chocolate Country Cream milks are now $15.99 each or $89.99 per case including shipping. The MilQ Milk Alternative for Regular and Chocolate are $14.99 each or $79.99 per case including shipping. Still a great deal. I also wanted to make you aware that we coming up with our own line of dehydrated meals. These are complete meals as low as 17 cents a serving (yes you read that correctly) and ranging from 17 cents to 58 cents per serving. These will be available in 5 gallon buckets with a 25 year shelf life unopened. Once opened they are best used by 2 years from the time the bucket seal is broken. 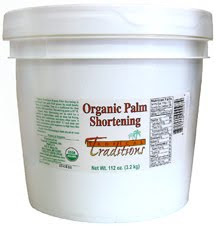 That is a total of 345 servings in a 5 gallon bucket, nitrogen sealed with oxygen absorbers for a 25 year shelf life for only $0.28 per serving including shipping. You can see why we are excited! We are a distributor of Wise Foods and their products are nearly $2.00 per serving with shipping. So you can see what a great deal this is. We are featuring these in November and will send you the information as soon as we can. They will make great Christmas gifts. Imagine nearly 1 meal a day for a whole year for under $100.00. We need to get a minimum of 100 buckets to get this great deal. So make your plans to place your orders next month. By the way, they have sent us samples and we have taste tested the products and they taste is great! They are made with real potatoes, carrots, onions, beans, rice, etc. Great Price on Dehydrated Meals!